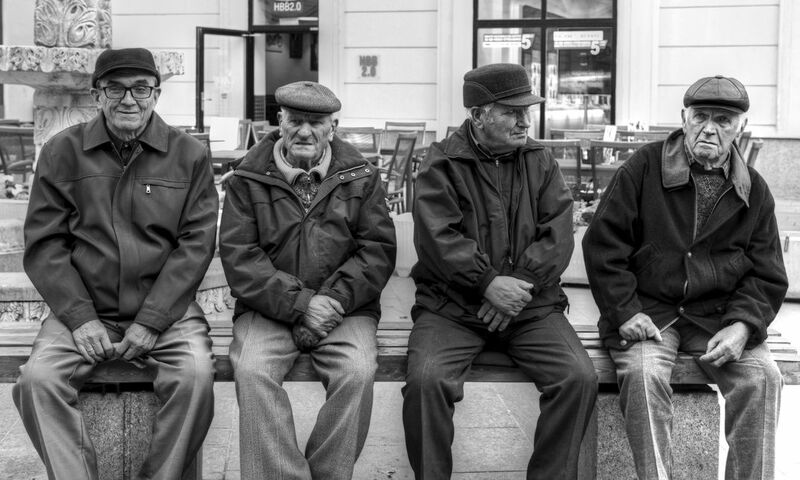 Friends for years these Romanian gentleman have a daily ritual of meeting each day at the same place the same time. It would appear that over the years they have adapted each others style of dress. They each wear hats, short coats and actually sit with their hands in their laps.